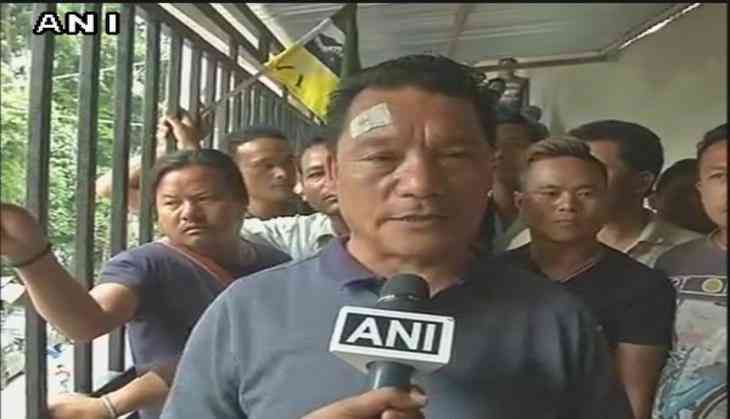 A division bench of the Calcutta High Court on Thursday disposed off Gorkha Janmukti Morcha (GJM) supremo Bimal Gurung in the Madan Tamang murder case and directed that charges be framed against 47 other accused. The court also directed that charges will be framed against Gurung's wife Asha and several other top leaders of GJM. The court further fixed August 28 for framing of charges against the accused. Earlier in June, GJM chief claimed innocence in the murder case of Tamang and expressed his hope that the matter would be resolved in the coming days. "This is a matter of the High Court. I am innocent. But since my name has been sent to the court, this matter would be resolved in the coming days," Gurung had earlier said. The Calcutta High Court had earlier directed the Central Bureau of Investigation (CBI) to arrest GJM leaders, including its chief Bimal Gurung, in connection with the murder case till the disposal of their anticipatory bail plea. A city court had on June 6 issued arrest warrants against Gurung, his wife, party MLA Harkabahadur Chettri and 20 others in connection with the case. Following this, Gurung and 10 others had moved the Calcutta High Court for anticipatory bail.